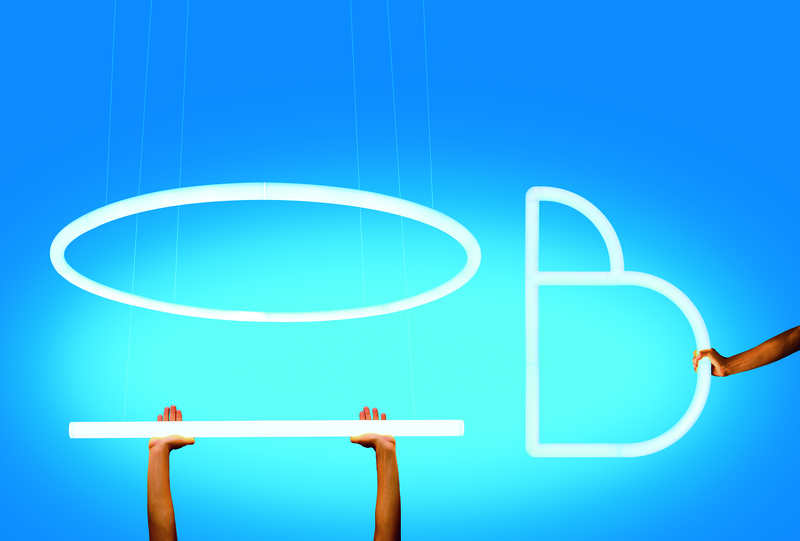 Together, Artemide and Bjarke Ingels Group have designed and developed the Alphabet of Light; a lighting system consisting of modules that can be combined in different ways to create your own expression in bright writing or form. The designers Bjarke Ingels and Jakob Lange have gained their inspiration from the retrofuturistic expressions of the iconic neon tube. 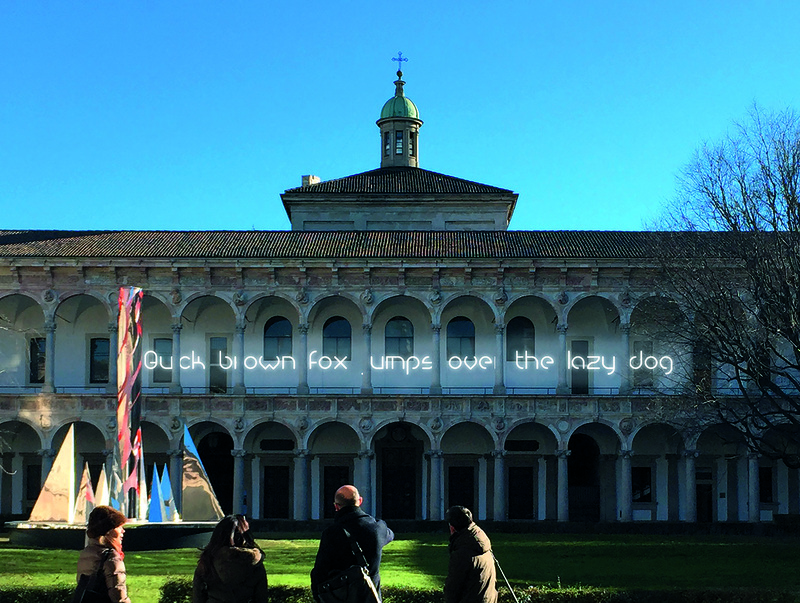 The idea behind Alphabet of Light is that with just a few simple geometric elements you can form all the letters of the alphabet and thereby create a personal expression. The light thus becomes not only a practical measure in the interior but equally a unique and personal expression. The Alphabet of Light series consists of four simple LEDs, two linear and two arcuate in four different lengths, which together can form a multitude of luminous and geometric shapes - both simple and more complex. Artemide has developed a system that makes it possible to assemble Alphabet of Light completely without the need for tools. The modules are clustered by means of small magnetic connections, which, when the light turns on, seamlessly connects with the modules, thus creating a continuous and uniform luminous expression. Also with regard to material selection, careful consideration is given to the design of Alphabet of Light. The modules are made of plexiglass tubes and have a core of aluminum with LED strips, which allows an even diffusion of the light, completely free of shadows and glare. Over the years, Artemide has been on the design scene with their collaboration with some of the world's largest designers and architects. 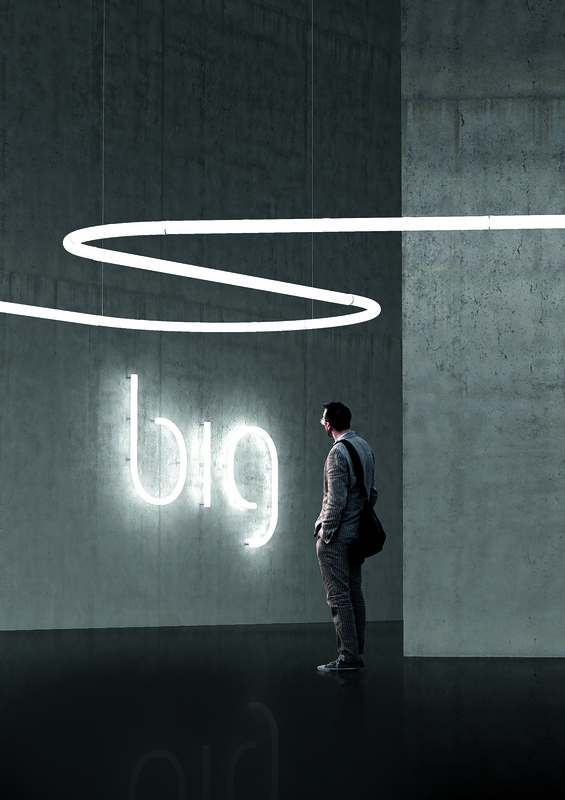 With the cooperation with Bjarke Ingels Group, Artemide proves that they are still groundbreaking and innovative, both in terms of intelligent design and innovative lighting technology.